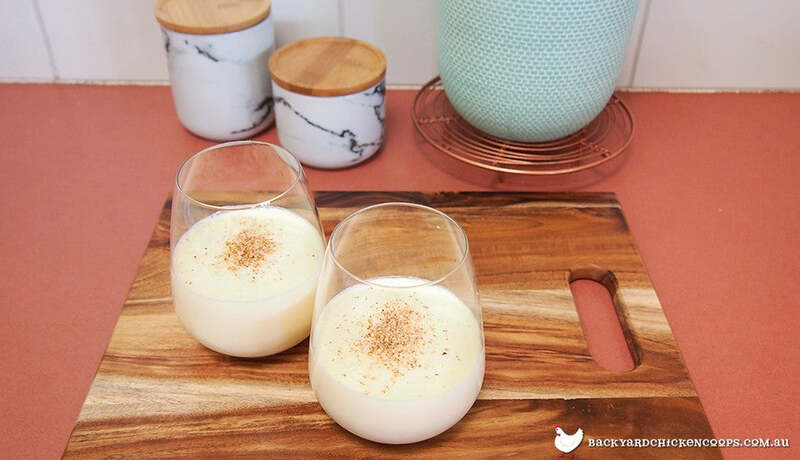 Eggnog may seem like a mysterious once a year drink, but it is refreshingly easy to make and the perfect choice for using up extra eggs from your backyard chicken coop! 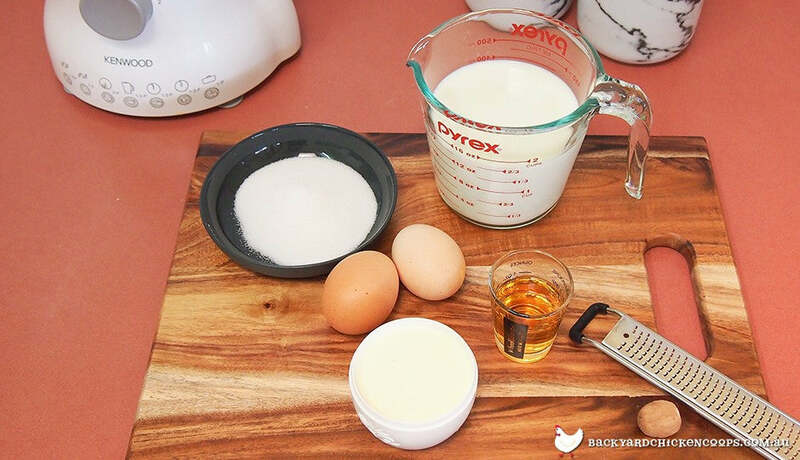 This eggnog recipe can be made with or without whiskey depending on your taste. Impress your guests at Christmas or any time of the year with this deliciously creamy and fragrant drink. Beat the fresh eggs in a blender for one minute on medium speed. Slowly add the sugar and blend for an additional minute. With blender still running, add nutmeg, optional whiskey, milk and cream until combined. Chill thoroughly to allow flavours to combine and serve in chilled wine glasses, grate a little nutmeg on top before serving.